We started this series in an effort to spur your creative juices. Every 2 weeks we add a new image to the series and ask for your take on the scene. 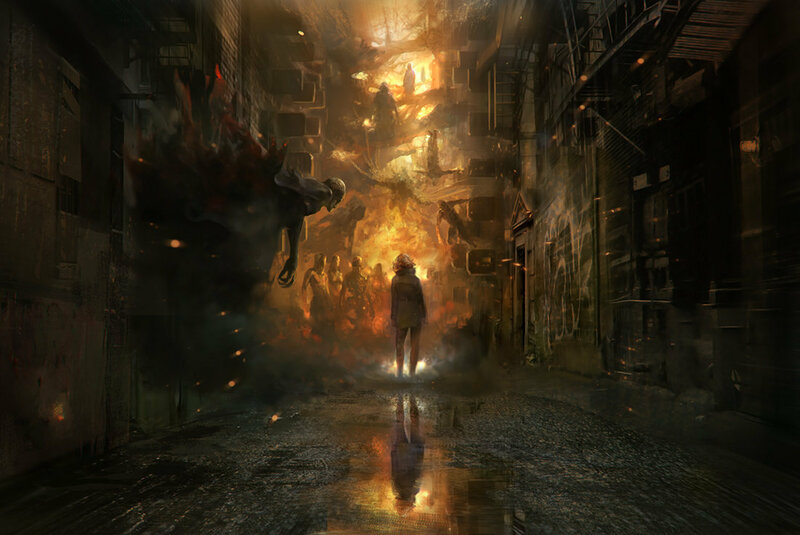 This week we chose War Within by our friend and spectacular artist Arnaud Pheu. Who are those scary looking people? Could they be the living dead or maybe they’re demons from another dimension. Could this be a dream? Or perhaps a metaphor for something even worst? Does the conflict lead to his demise? Perhaps he controls their will with his any thoughts? We could go on for days with this one, but now its your turn! Let your imagination soar as you write a story inspired by this image.